The numbers used in Aegerion’s SEC filings are transparent. To get to a population of 3,000 patients the study included HeFH patients, of which HoFH patients are the required subset. Is this how Aegerion could reach a patient population of 3,000 – by going off-label? Unlikely. The drug was approved specifically for HoFH patients. 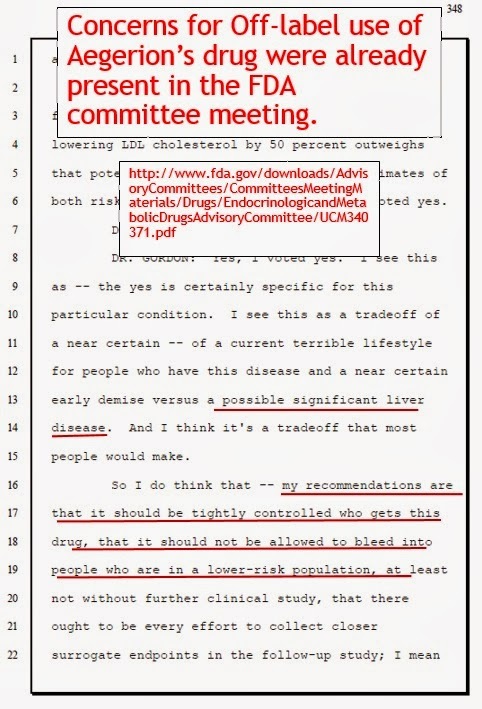 And it is clear from the FDA’s committee meeting that there was serious concern if the drug should be used outside of the HoFH populationoHo. 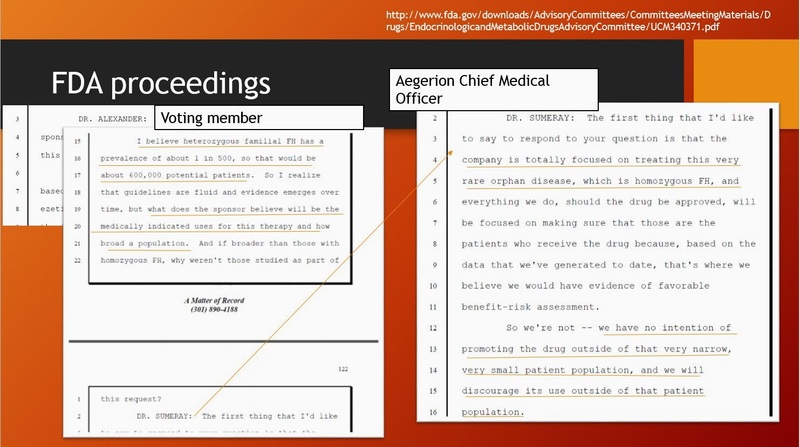 Aegerion’s Chief Medical Officer assured everyone in the FDA meeting that the HeFH patients would not be pursued and that the drug would be limited to HoFH patients. 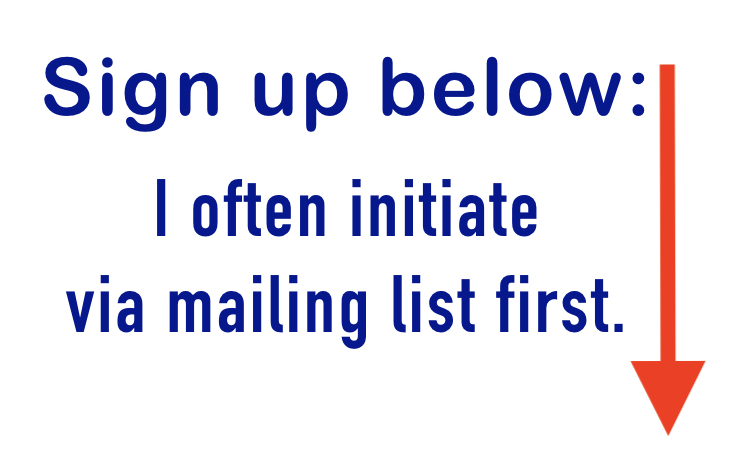 Can Aegerion promote the drug off-label? Not legally. Will doctors go off-label on their own accord? It is possible, but there are barriers. One barrier is that a patient needs to be able to afford the $295,000 yearly price tag, if not through insurance then out-of-pocket. And there is another barrier: lomitapide poses such a risk to the liver that the FDA required Aegerion to work under a Risk Evaluation and Mitigation Strategy (REMS), with Elements to Assure Safe Use (ETASU). This policy was put in place in large part to prevent off-label abuse and was one of the conditions preceding Aegerion’s approval as an orphan product. 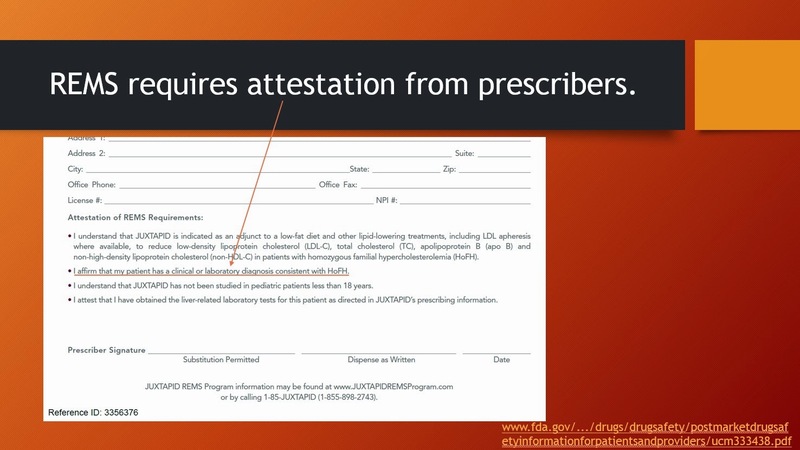 Just to mention two requirements within the REMS, a prescriber must be trained and must sign an attestation that the patient has a diagnosis consistent with HoFH. So in the case of Lomitapide, can a doctor knowingly prescribe the drug off-label without lying about the diagnosis? How much liability would be involved if the patient suffered from liver damage? If Aegerion tries to promote the drug off label there could serious financial consequences, as JNJ has recently discovered. And we have little doubt that the FDA is indeed watching Aegerion. 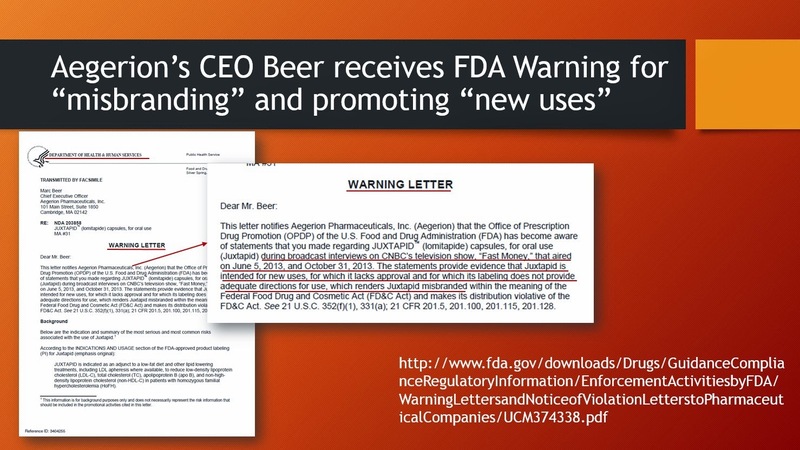 On November 8, 2013 the FDA issued a warning letter to the CEO, regarding promoting “new uses” and “misbranding” the drug lomitapide in two CNBC interviews.